A real fruits cocktail for your baby ! 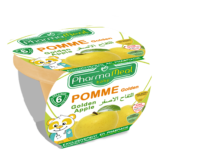 Introduce your child to the delicious taste of fruits with the fruit mixture 100% tasty. A compote that will bring much strength to your baby.